Part One: What is Saint Louis-Style Pizza? When talking about pizza and the styles of it people often like to talk about, "Chicago-style Deep Dish," versus grabbing a nice slice of New York za' and all the other regional pizza-styles you can enjoy. One thing you can't find outside of where it actually originated however is Saint Louis-style pizza due to a variety of factors--with one being you can't find the cheese it uses anywhere else. Yes, seriously. 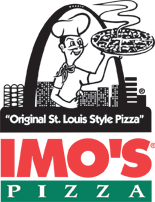 There is a pizza-chain known in the Saint Louis region as, "Imo's," which prides itself on being, "The Square Beyond Compare," and serving Saint Louis-style pizza. This entails the pizza being on a very thin crust, with a light tomato sauce, and provel cheese. 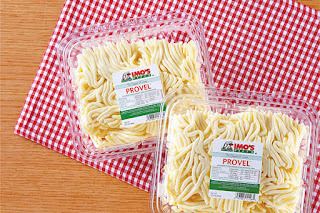 Provel cheese a mixture of cheddar, swiss, and provolone that is known for its gooey and buttery texture. People who like this kind of pizza say it is a nice thin-crust with a, "Clean bite," and people who hate Saint Louis-style pizza declare they feel like they're biting into a cracker with a bit of tomato paste and a chemical hellbeast of mutated cheese on top. Part Two: Why Didn't it Spread? While other kinds of pizza migrated outside of their region of origin to some degree, Saint Louis-style pizza continues to really only be accessible within Saint Louis and areas not too far from it. As for why this may be...frankly, most people who try this kind of pizza hate it. Seriously, they despise it to the level where you only see it discussed outside of the region if people are dumping on it or posting pieces, "In defense of," it. The idea that nobody has ever felt a need to make an article, "In defense of deep dish," tells you a lot about the perception of pizza from STL. The first time I tried Saint Louis-style pizza I was thrown by the unique flavor of Provel cheese and how crunchy the crust was. I didn't like it much. Then I tried it again and liked it a bit more. Also, for some reason getting it topped with bacon made it really good. I now can eat it even without bacon and enjoy it. It's a different kind of flavor texture, but it is an acquired taste that many hate. When I have friends or family visit and give them some Saint Louis-style pizza to try they almost always respond to it with a mixture of shock and revulsion. I'm not saying this to be mean, I'm just trying to explain to everyone that Saint Louis-style pizza is unique in a way that sometimes only people native to the region can appreciate, along with folk open to giving it a chance like myself--hence, it didn't spread. Honestly though, to whatever degree some people dislike Saint Louis-style pizza, residents here love it that much more. Part Three: Why Do Residents of Saint Louis Love it? Within the city of Saint Louis right in the dairy aisle people can actually buy Provel cheese to put upon their own pizza, sandwiches, or whatever they like. As Provel cheese can't be bought outside of this area it is something super-common here but rare everywhere else. I was talking with a cheese-monger at Schnucks (a local grocery chain) once and he told me that they would sometimes have people buy a massive amount of provel cheese and pay the cost of shipping it overnight on dry ice to some far-away state due to how they were former STL-residents who couldn't kick their hankering for the stuff. As I said, as much as some people hate Saint Louis-style pizza, other's adore it tenfold more. I am not exactly sure why residents of Saint Louis love this unique style of pizza so much. It has grown on me during my extensive time living in the region but I still don't have as much affection as some people who swear up-and-down they won't eat any kind of pizza but the kind made at Imo's. It might be that people just really love the cheese's taste, the unique super-thin crust texture, or it could all come down to pride, with the rage felt by those who live Saint Louis at their pizza being made fun of overpowering any logic pointing out that it is honestly a delicacy with a unique flavor profile that not everyone will like. Whatever the reason people in this region love Saint Louis-style pizza, it is without a doubt something interesting which I would encourage anyone who comes to this area to try, or if you have a ton of money you could always call-up a local grocery story and get some blocks of Provel cheese mailed-over.